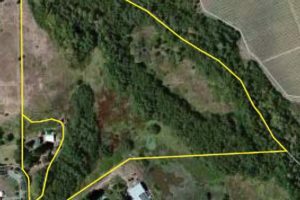 This Sebastopol Country Property for sale comes with 2 legal parcels totaling 23.84 acres combined. 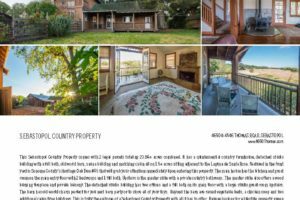 It has a quintessential country farmhouse, detached studio building with a full bath, old world barn, sauna building and matching cabin all on 1.5 acres sitting adjacent to the Laguna de Santa Rosa. This parcel is accessed through a private gated entry and leads you through a circular driveway centered by a fountain and surrounded by mature landscaping that gives you a comfortable feeling of being home in your own garden setting. Featured in the front yard is Sonoma County’s Heritage Oak Tree #45. It’s a gorgeous Valley Oak to will grab your attention immediately upon entering this property. The main house has the kitchen and great-room on the main entry floor with 2 bedrooms and 1 full bath. Upstairs is the Master Suite with a private country bathroom that features a claw foot tub and separate shower. The Master Suite also offers a wood burning fireplace and private balcony overlooking the gardens, open meadows and the Laguna de Santa Rosa. The detached studio building has two office and a full bath on its main floor with a large studio great-room upstairs with vaulted ceilings and beautiful picture windows looking out of Heritage Oak #45, gardens, meadows and all. The barn has old world charm perfect for you next barn party or to store all of your toys. It’s constructed of quality redwood from times past and exudes a personality that will leave you feeling the history of this property. Beyond the barn are raised vegetable beds, a chicken coop and two additional cabin type building, one with a dry sauna built in and the other with a sleeping love quasi club-house. Wrapping the house parcel is an additional 22.34 acres which has previously been perc’d for a septic system to use to build your dream house with a gorgeous view building site looking out over open meadows and the Laguna with an abundance of wildlife including a variety of birds, dear, turkey and more. 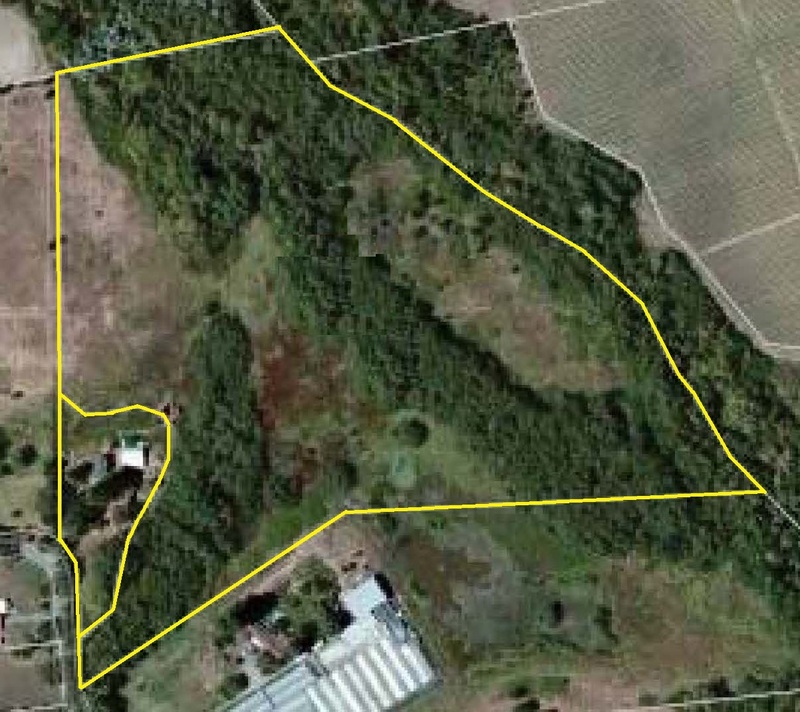 This parcel can convey separately but is offered together with them smaller 1.5-acre improved parcel. You could potentially turn this property into your family’s compound building a second main home with it’s ancillary outbuildings and with the flexibility to deed each of the two parcels separately for estate planning. 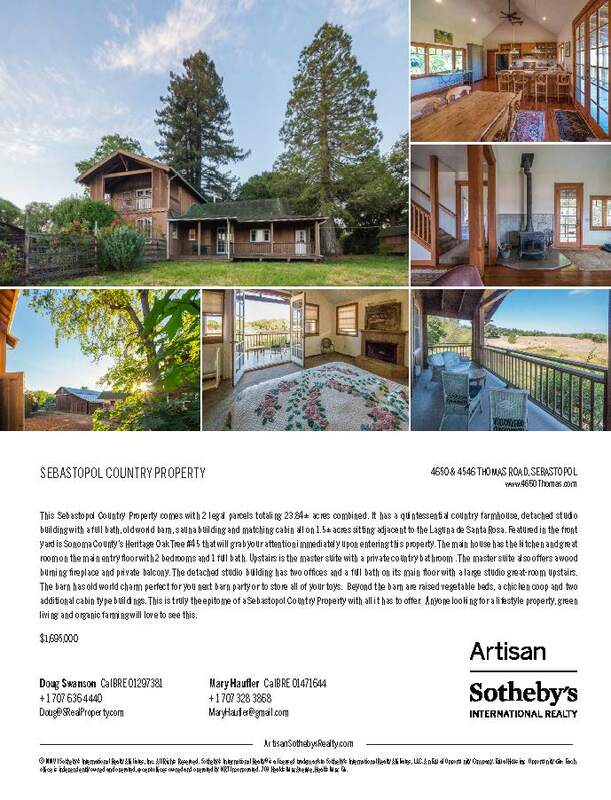 This is truly the epitome of a Sebastopol Country Property with all it has to offer. Anyone looking for a lifestyle property, green living and organic farming will love to see this! To schedule a showing please click on the ‘showing request’ icon above or call Doug Swanson cell 707-291-4400 or Mary Haufler cell 707-328-3868.